2019 Interior decoration trends: Currently the interior decoration will be full of contrasts between the simple and the futuristic style… Get to know our hand, the main trends and surprise yourself. 2019 Interior decoration trends… A year that promises to surprise locals and strangers, with fresh ideas and contrasts between the simple and the futuristic, making simple lines in the design, with the aim of solving some challenge of society or personalizing furniture and spaces, to create cozy rooms, with a unique and functional design, being faithful to the style of the inhabitants in that home. We believe that true freedom begins at home… And as we live it has a great influence on our lives.. 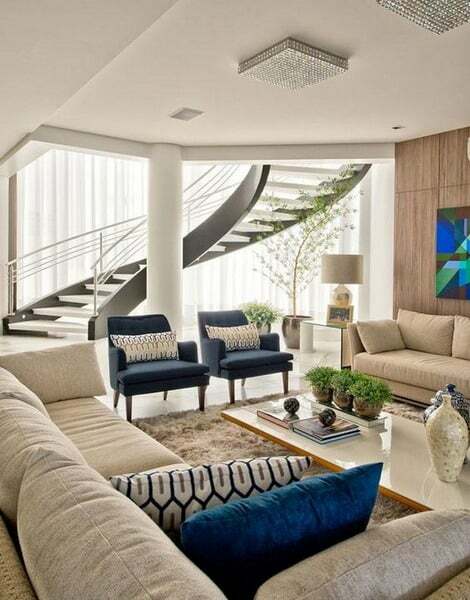 So he adds furniture that gives solutions to interior design and adding accessories that combine with each other. This time, we will talk about everything that is Trend in the world of interior decoration… You will know the best ideas for decorating apartments during 2019, with modern ideas, where most of us will focus on designing shared spaces in a small apartment, the ideal colors to paint the walls, the functional furniture that the small home should design and the accessory accessories that will make the difference between a good and a striking decoration. 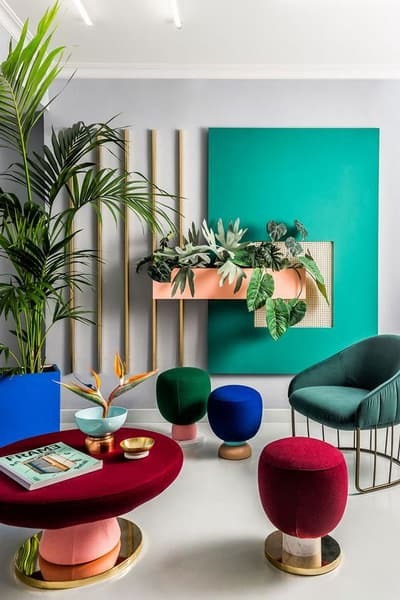 The trends in interior design 2019, undoubtedly, are marked, for all exhibited the Milan Furniture Fair… Where it became known that the colors for 2019 interior decoration, will be the warm and earthy tones… The bronze, terracotta, green mold and reddish will be excellent to give color to modern rooms, as well as furniture and decorative objects. 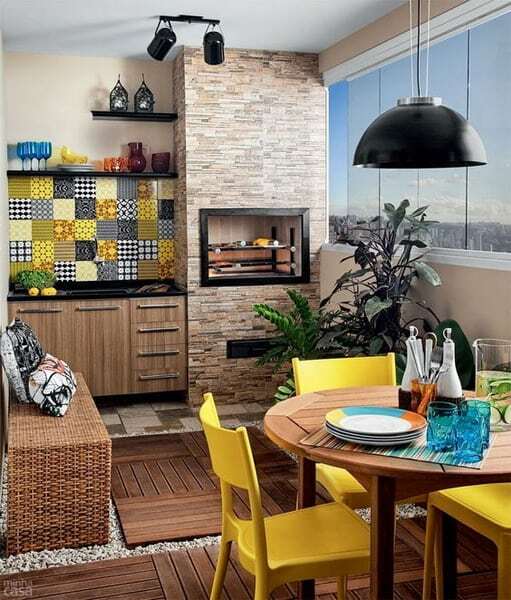 Regarding Trends in the home 2019 with predictions for 2018 mention that the rooms will revolve around a geometric style as organic… Stripes, in the geometric design and in terms of organic designs, these are characterized by curved chairs, Wall panels painted by hand with watercolors, giving a unique style to the place. It is time to know the sections we have prepared for you… Pay attention. Would you like to give a new look to your home, with style and originality?… 2019 Interior decoration, the best proposals to design your home. 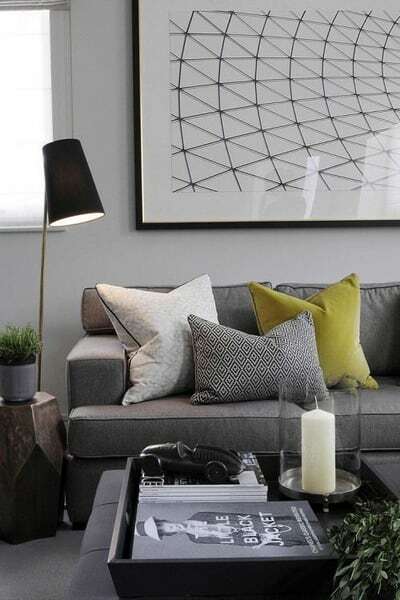 Today in How to organize the house, we bring to you, the following proposals prepared by expert interior decorators, such as Candice Olson, one of my favorite designers, because it turns the decoration of a place, around functionality. 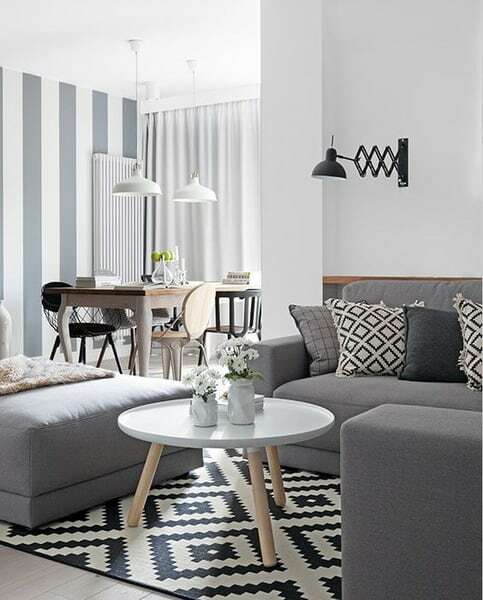 Let’s make a change of look to our home… Trends in decoration 2019 mark the inclusion of a style defined as “Design Thinking”, which proposes to decorate small spaces with beautiful and functional furniture. Nature or wood, will be another element with weight in 2019 Interior decoration and assured you that true wood in its most natural state everywhere… In ceilings, on walls, in furniture for living rooms or rooms, etc. Inspire yourself and make your home a modern and functional space. 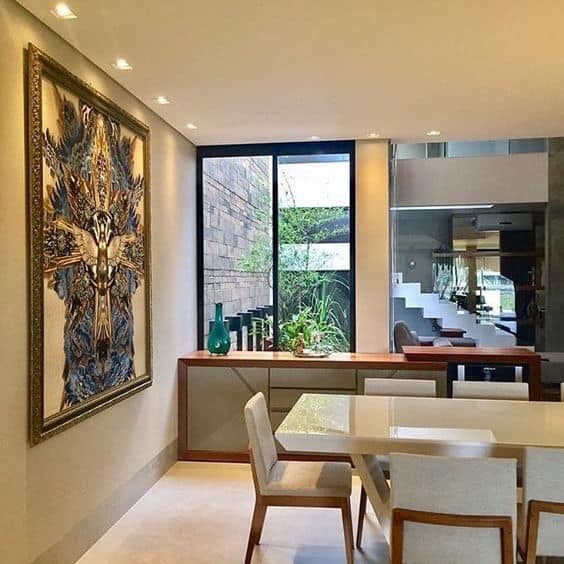 Thanks to technological advances, today, almost immediately, we realize what are the new trends in interior decoration 2019… I comment, that the decorators, mention that the design of a home should revolve around the details modern, cozy and functional. Coffee tables in natural wood or blacksmith with classic and modern style! Pay attention and take note of each of the details… Decorate your home with the best home trends 2019… You anticipated that marble is still one of the preferred materials to decorate modern kitchens, but also today, comes with a lot of weight to the use of marble in apartments for houses. We know that this material adds a discreet and elegant aspect to the areas where it is used… It invited you to be inspired by the following images that you attach to it. 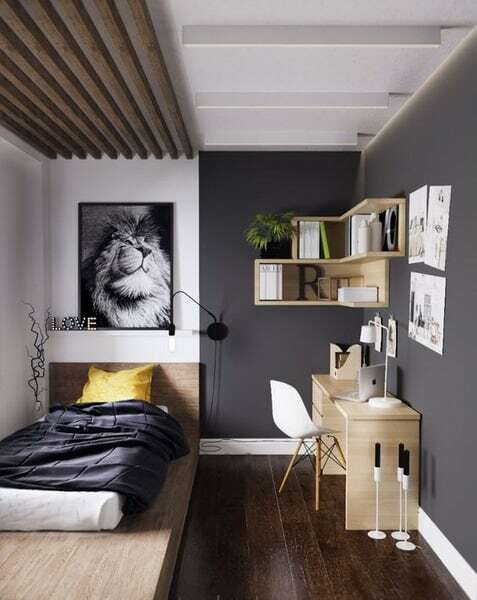 Trends in interior design 2019, mark an abundance in warm and earthy colors to decorate the interior of a house… Without a doubt, minimalism will reign during 2019. As for the decoration of kitchens 2019, the designs will be daring, because the black will take over the living room, giving a contemporary and sophisticated look. Adding plants to the modern rooms is a total success, and if you can not keep a living bush, do not worry, because a tree in a jar or some branches will add life to the design of your living room. Furniture trends 2019, mark simple designs in furniture to decorate a home.. But you assured that the simple will never be synonymous with boring, but quite the opposite. 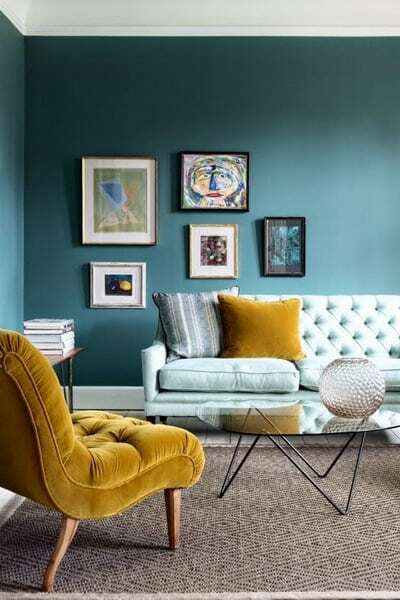 Elegant armchairs, upholstered in velvet, in a green mold or terracotta red… They are part of 2019 Interior decoration. 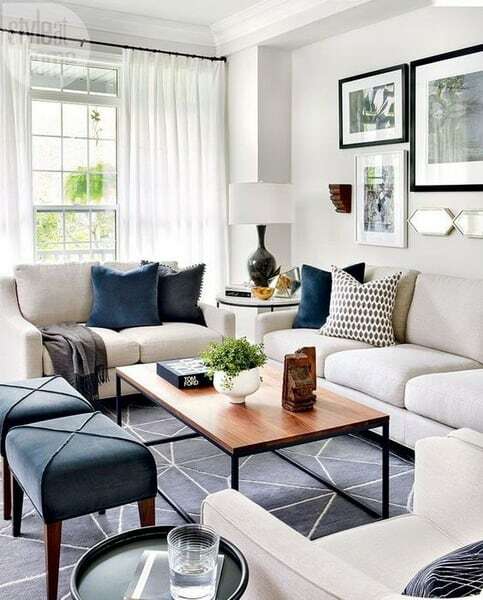 The furniture trend 2019 to decorate the interior of a home, will revolve around the simple, with daring touches… Sofas with curved design, marble coffee tables and the integration of beautiful paintings will be a fundamental part of the 2019 interior decoration. 2019 Interior decoration… Take note of the latest trends; white and soft tones, according to experts in interior decoration, will remain fashionable, but this time, accents will be added in vibrant colors to the design. Colorful cushions, with geometric patterns, table lamps or pendants in bright tones and even curtains in a terracotta or red pomegranate tone. Regarding the decoration of bedrooms, the latest trends mean adding a plant next to the bed, as it adds life, energy and oxygen. The trend in apartment decoration, marks an avant-garde style, where the integral design is part of the main ideas… Add to the shared spaces, warm and vibrant tones, that make a perfect balance with light or warm colors. 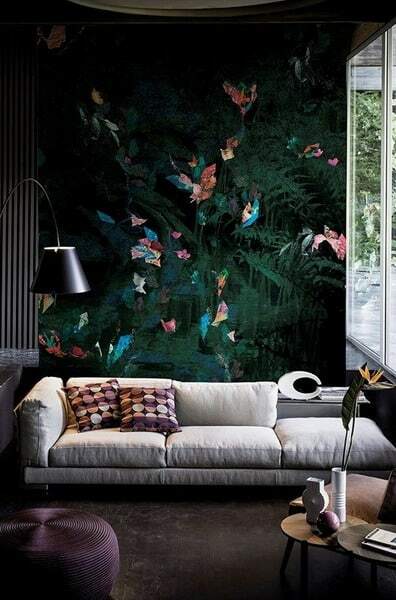 The wallpaper returns during 2019 Interior decoration with great force, to line the walls of the apartments, with style… delicate flowers, geometric patterns and bold, will be part of the 10 trends in decoration with wallpaper. Christmas…. A perfect time to let the imagination fly and make our home, a comfortable space where the characters of the time, the beautiful Christmas pine and the lights inside, can not miss. This year, the colors for Christmas will undoubtedly be based on the tone of the year chosen by Pantone… The Ultra Violet or Violet intense, combining with copper tones. But not only this tone will be the protagonist of the 2019 Christmas Decoration, but also the terracottas, making a Christmas tree, a very natural design. 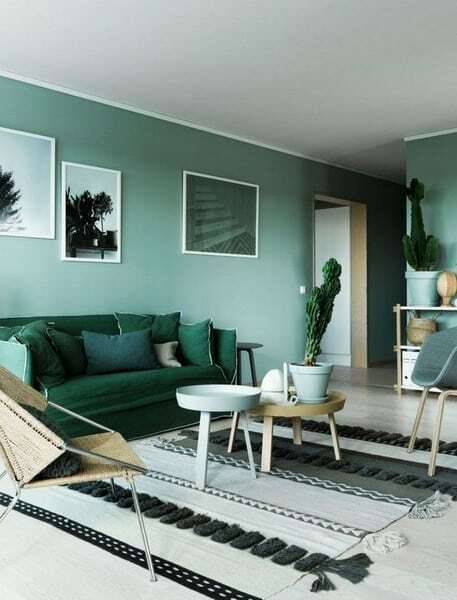 The trends in interior decoration 2019 mark a bold style and full of contrasts… Pantone, the highest authority in color, surprised us this year with the color palette to decorate the interior of a home. Terracotta tones, a red pomegranate, green mold and intense violet, are part of the key tones to give life to the living rooms, bedrooms and kitchens during 2019. 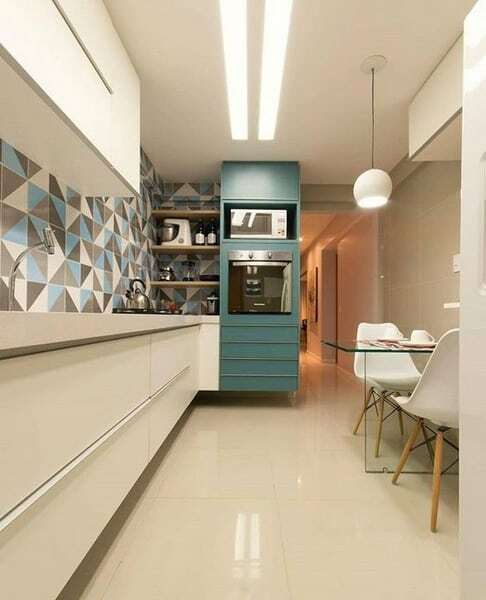 And speaking of kitchens, he commented that ceramic tiles are once again a trend during 2019, in order to add an old air to the spaces. 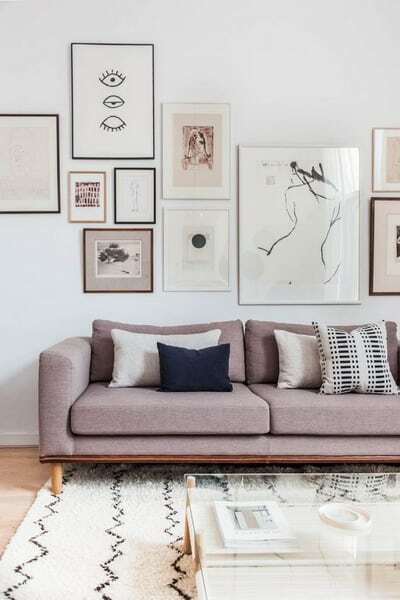 If you are looking for ideas to decorate your home and style the spaces… You have arrived at the right place, because in How to organize the house, we have prepared the most complete of the articles: 2019 Interior decoration. 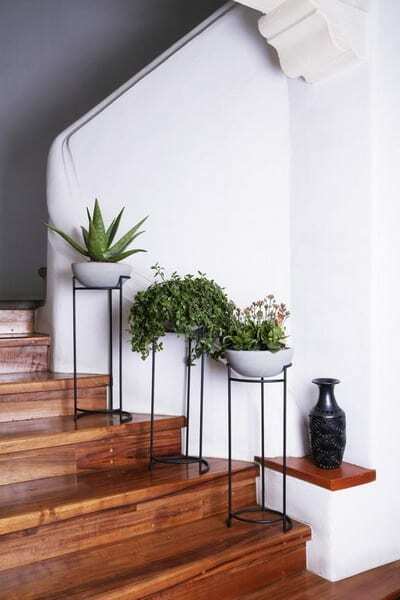 The trends for home 2019 in terms of decoration, will revolve around the bold and contrast… The miniature plants as ornaments, will be fashionable and will look amazing in modern salons. The integrated environments, where the living room and dining room are shared will be a strong alternative for interior decoration, and the best thing is that the design or style of these spaces will be inspired by the 90s. Inspire yourself with these ideas !!! Trends in interior design 2019… Brick in sight; Just as you hear it, this year decorating walls with brick in its maximum splendor will be fashionable and it will look amazing. The industrial style, without doubt, is the most representative of this idea, and give a touch to our home with this detail, it will make the interior look very beautiful. Trends in furniture 2019 mark modern styles, where wood is exposed in its most natural form for those beautiful and modern coffee tables or dining rooms. 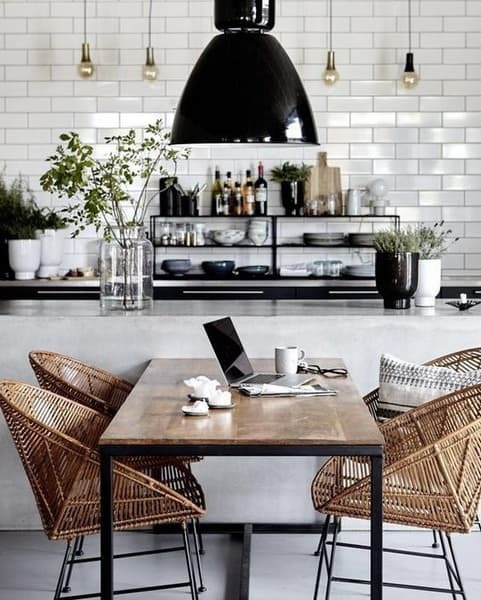 As for the dining rooms, today’s idea is to add to the natural design of this furniture, ironwork chairs that evoke a little the industrial style that is currently in fashion. The sofas or armchairs are lined with velvet fabric, which gives elegance and style to the design… The legs of the furniture can come in blacksmithing with copper tones, gold or a pink gold… A total trend for this 2019 Interior decoration. Decorating a home, undoubtedly, is one of the activities that most passionate the human being… But we must not only add furniture or colors in the interior of our home, to add, but we must base the addition of furniture and shades to the walls, based on what the fashion indicates in interior decoration. 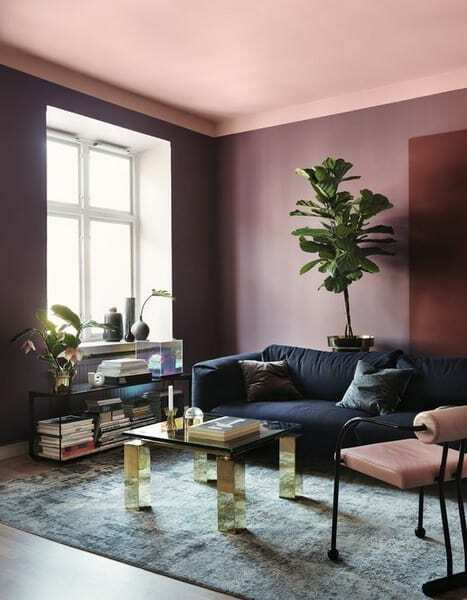 There are 7 colors that will reign during this year in terms of colors or paintings for interiors it is… It announced that the Violet and its derivatives as a tender lavender or a deep purple, will be an excellent option to color the walls of a room o Modern Room. The terracotta and earth tones will also be fashionable and will make your spaces a unique place full of warmth and comfort. 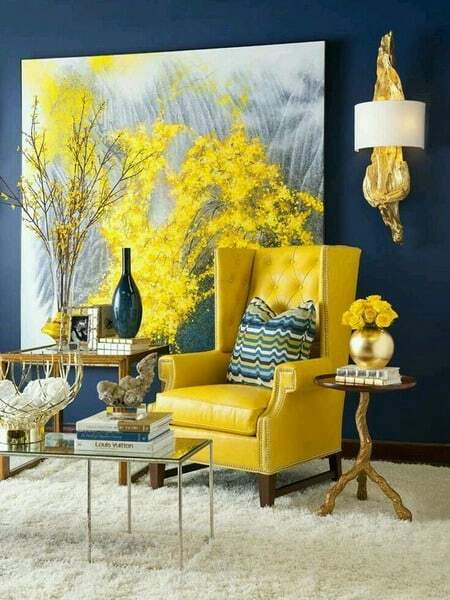 Enter inside the list of colors for indoor, an intense grenade or a yellow canary. Do not be afraid to play with daring and even when the strong blue seems too… He announced that it is fashion in color and makes the spaces in your home, look fantastic. 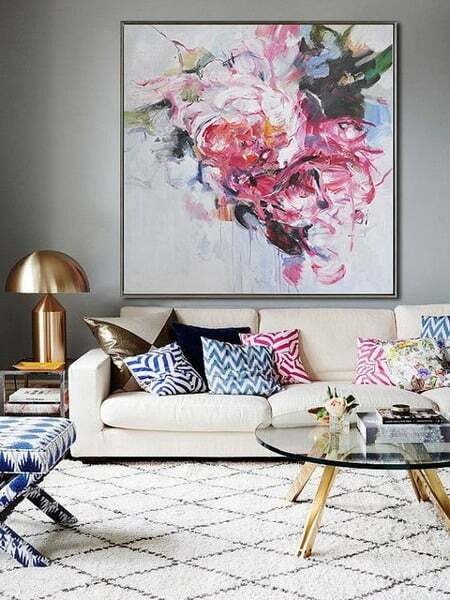 2019 to decorate… Brand irreverence in the design, for modern living rooms and rooms, the decorators mention that the strongest in including curtains, rugs or carpets and elegant fabrics that combine with the rest of the decoration. The wallpaper is still fashionable and the floral or geometric designs, will be part of the most avant-garde ideas… Do not forget to include a beautiful round or oval sofa in your living room, so you can wear a totally avant-garde decoration. 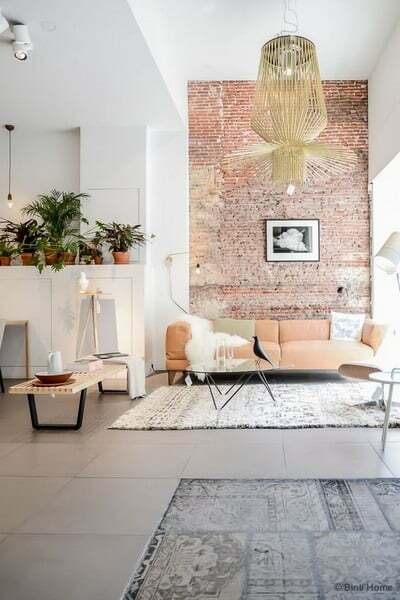 The latest trends in apartment decoration bet on a style with integrated environments, where the style of the 90s seizes the main design… The modern departments will tend to use the industrial style where it is prohibited to divide the spaces with walls. Carpets or furniture of different styles are an excellent option to divide spaces… Add a wall with brick cladding in sight, they look amazing and do not forget to include furniture according to the size of your apartment. Take note of every detail and get inspired with the design of each of the furniture that you attach. 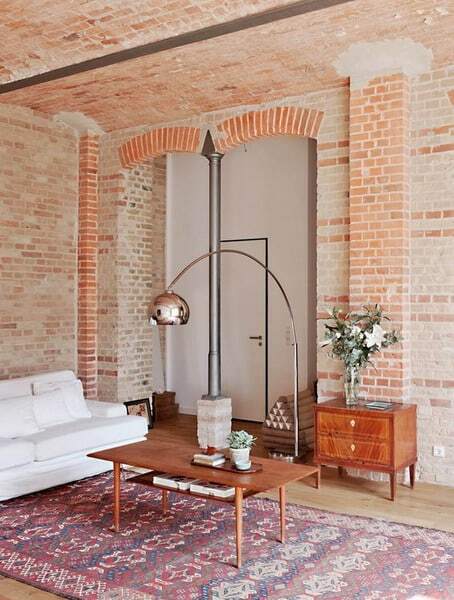 2018 was a year in which the interior decoration was marked by the industrial style… The open spaces type loft, including functional and cozy furniture that gave a Hygge style, which focuses on creating spaces that not only look beautiful, but also confers happiness and comfort to the inhabitants of that small home. The classic style is combined with modern, providing an extremely elegant and stylish atmosphere… As for kitchens, today, black is the most inc, and believe it or not look fantastic. Check yourself… I attach images that will inspire you to decorate your home with the best trends of 2018. Interior decoration 2018 modern, functional rooms, with furniture adapted to the spaces and a lot of style in the details… Interior decoration 2018 small rooms, sharing a dining room and living room or in large and open loft spaces.